As the data performance progresses, more html-movements are developed, stored and altered by all the participants. 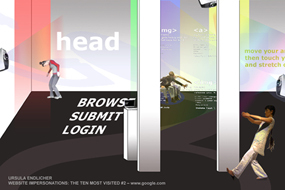 The user (=the audience) takes an active role in the performance of google.com. html-movement-library live feed: Ursula Endlicher – and the audience!